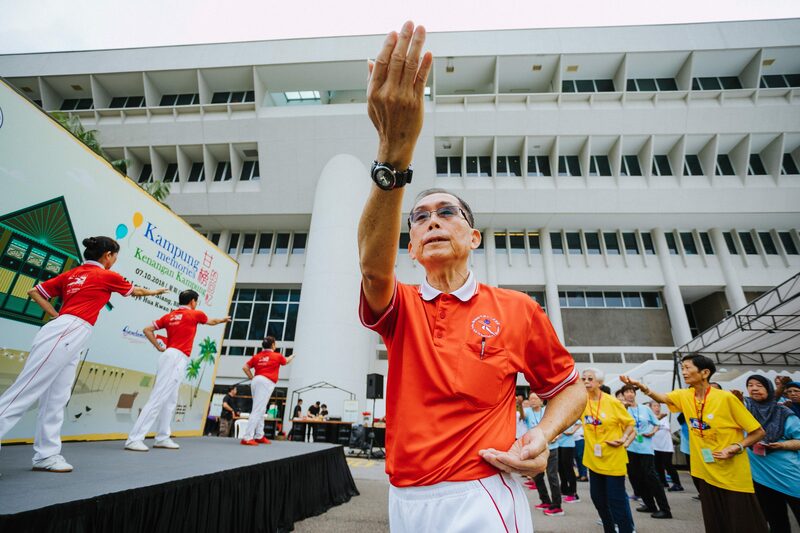 Getting into the zone, participants practice their Qigong at 'Kampung Memories', the carnival-themed event held at Jurong Town Hall. 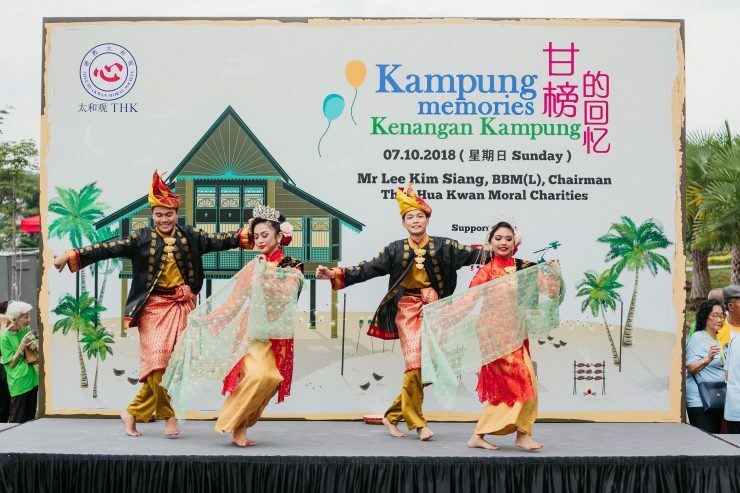 Traditional performances to usher in our Kampung Memories! Beyond the workout there were also traditional games for everyone to engage in. Our THK elderly eager to participate at the various booths. 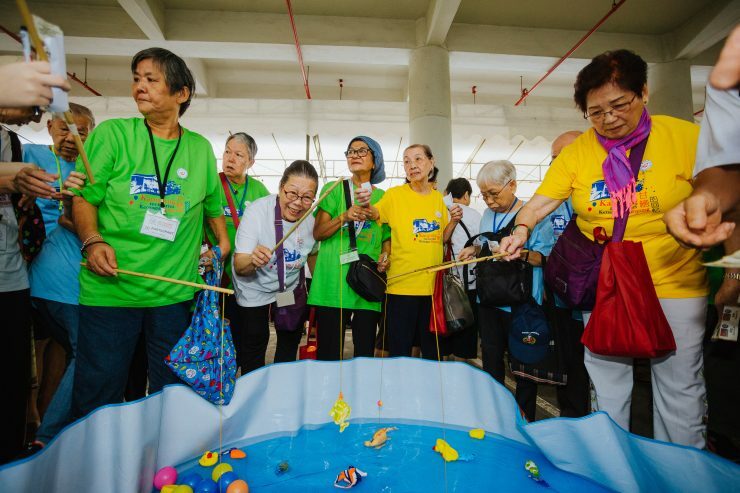 Reliving memories of the past whilst engaging in activities in the present, more than 1,200 participants from 17 THK Seniors Activity Centres and 3 THK Social Services took part in a carnival-themed event ‘Kampung Memories’ held at Jurong Town Hall on 7 Oct 2018. 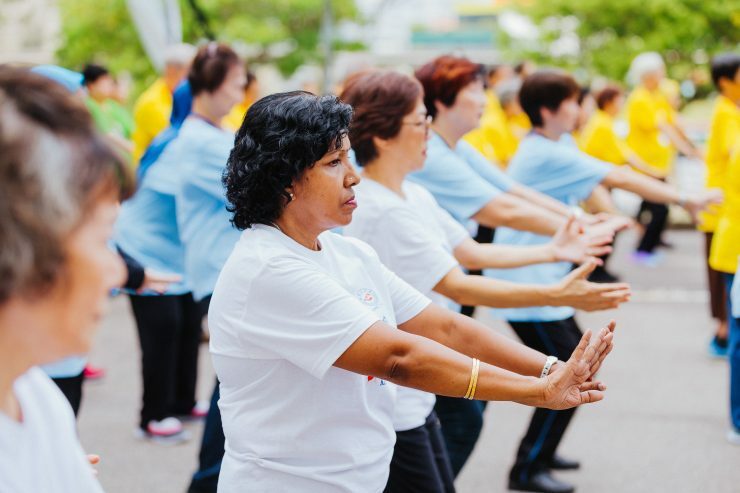 The event featured a mass Qigong workout conducted by volunteers from the Qigong Shi Ba Shi Association Singapore and sought to impart useful techniques for the elderly to apply in their everyday lives. Our elderly participants were also treated to traditional games of an era gone-by. Maimunah Binte Ibrahim, a volunteer befriender from the THK Community Befriending Programme (CBP) was present at the event, sharing that she feels much happier and gained a lot of knowledge since she started volunteering. “I no longer feel bored and keep myself occupied with house visits and participating in social events like Kampung Memories to connect with the community,” she said. The programme empowers other seniors who serve as befrienders for their peers. 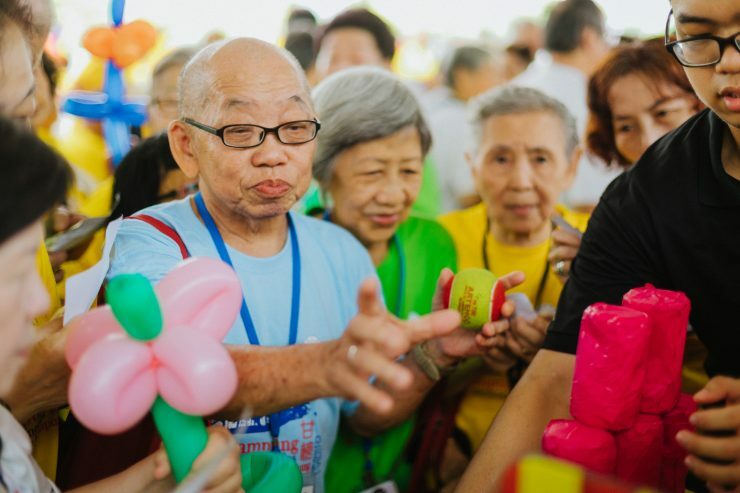 The seniors are trained in communication skills and to look out for tell-tale signs that may help to identify the needs of the elderly, so that the various community partners can step in to render help. Are you someone like Maimunah or just keen to touch the lives of our beneficiaries? Visit http://www.thknh.org.sg/volunteer/ to find out more!